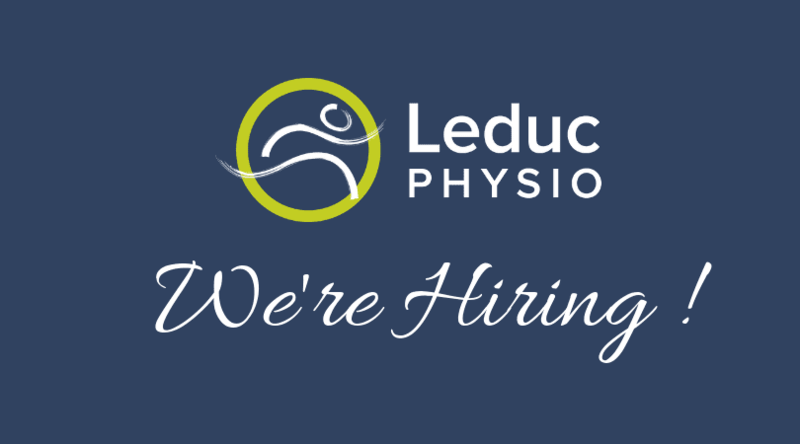 Leduc Physio is looking for a highly motivated massage therapist to join our team. We are a modern, 8000 square foot clinic located in a medical mall with 4 doctor’s offices just 10 minutes south of Edmonton. Join a multidisciplinary team and enjoy the benefits. We are accepting applications for either a full time or part time position within our team. We offer competitive compensation and a full caseload. Hours are negotiable with the candidate. Interests in orthopedics, deep tissue massage, prenatal massage, and TMJ are an asset. New Graduates are welcome to apply. Work within multidisciplinary team, and referrals to colleges. Communication with referring physicians and other professionals. Promoting and marketing of services. Maintenance and sanitization of equipment, sheets, etc. Completion of a 2200 hour massage therapy program. Candidates are welcome to apply for either a full time or part time position within our company. This position would be a contract position, with flexible hours. If you would like to apply for this position, please apply through Indeed here. Candidates are welcome to apply now.